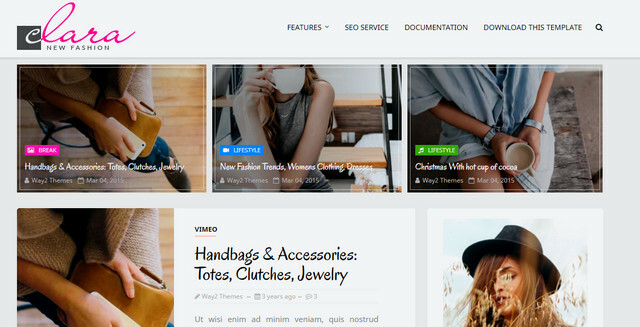 Clara Fashion Responsive Blogger Templates is a responsive blogger theme with clean & modern design for your online fashion blog and other website. Clara is fully responsive to look perfect on all types of screens and devices. Clara is a perfect fit for various types of blog or online website such as Fashion, Clothes, Men Fashion, Women Fashion, Kids Fashion, Accessories, Jewelries, Shoes and many more. Clara is the perfect combination of power, simplicity and professional design with tons of powerful features that you can customize according to your needs. Following are some of the key features of Clara blogger template.